I am delighted to be here today. It's indeed not often I get to watch a stage show during office hours. And I'm certainly looking forward to the very first public showing of "Moana: A Homecoming Celebration". I'm told that rare pleasure is ours immediately following today's opening ceremony celebrating the latest addition to Hong Kong Disneyland. The show, of course, is based on "Moana", the 2017 Academy Award-nominated animated feature film from Disney. 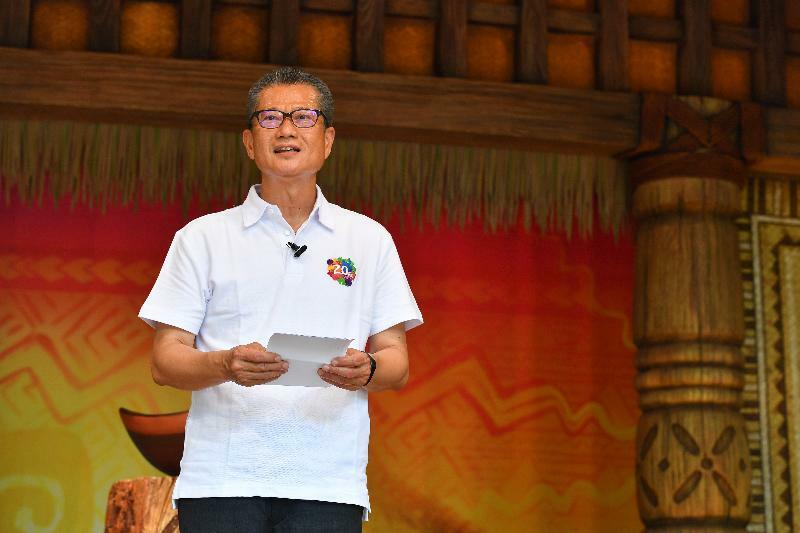 It is also the very first "Moana" stage production to be featured at a Disney theme park around the world. And there's more good news. 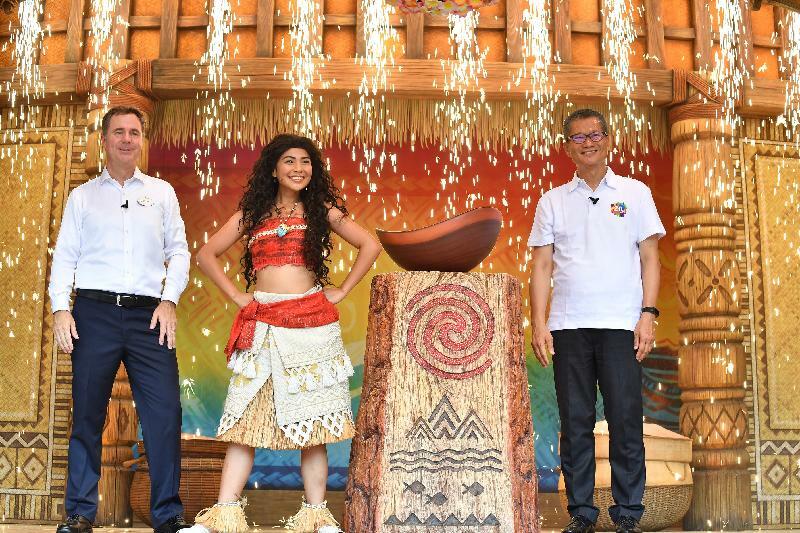 "Moana: A Homecoming Celebration" is just the beginning of a series of new attractions under the multi-year expansion and development plan of the Hong Kong Disneyland. The plan is being jointly funded by the Hong Kong SAR Government and Disney. And it will fuel expansion of the park's world-class entertainment offerings right through 2023. That's marvellous news for park visitors, for Hong Kong Disneyland Resort and, no less, for the Hong Kong economy. Enhancing our entertainment attractions and offerings can only attract more tourists to Hong Kong from all over the world. The Resort, of course, has done a good job of that since its opening back in 2005, welcoming more than 70 million visitors from all over the world. Boosting Disneyland's appeal through new attractions and offerings is, and will continue to be, a high priority. It's a strategy that's working well. Over the past two years, "Star Wars" and Iron Man have turned into resident superheroes, capturing the imagination of our park visitors. 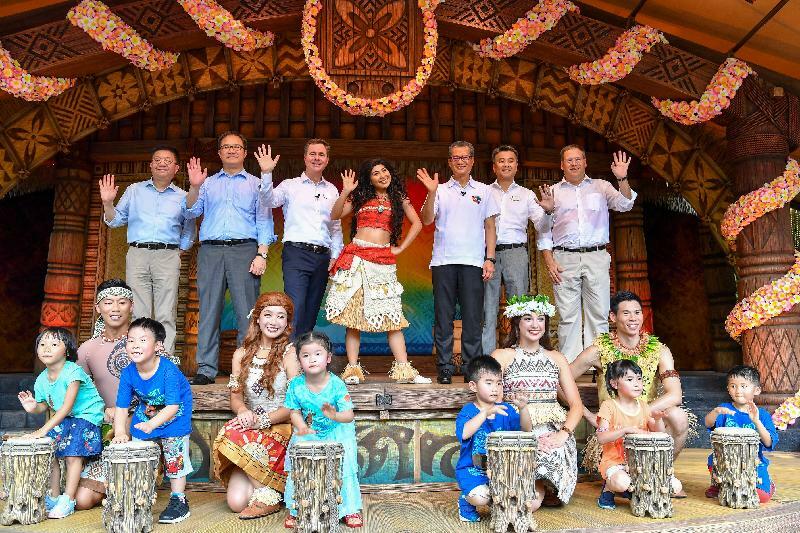 And I have no doubt that the inspired musical theatre, and visual storytelling, of "Moana" will do very much the same - captivate the world, right here at Hong Kong Disneyland. And there's more magic on the way. Next year, Ant Man and the Wasp will set up home at the park - here to take on all villains in thrilling, non-stop adventure. Hong Kong, I should add, is also up to some pretty amazing stuff these days. This year alone, two world-class infrastructure developments near the park are slated to open. I'm talking about the Hong Kong-Zhuhai-Macao Bridge and the Hong Kong Section of the Guangzhou-Shenzhen-Hong Kong Express Rail Link. All that state-of-the-art connectivity between Hong Kong and the Mainland can only boost the flow of business people, tourists and superheroes, creating unprecedented opportunities for Disney. Thank you. Now, ladies and gentlemen, let's get on with the show. FS attends Hong Kong Disneyland Welcome Party for "Moana: A Homecoming Celebration"